Smoothies are ideal if you're starting out on a weight loss journey because they're a low calorie, high fibre and nutrient-rich breakfast option that can help curb cravings, support digestive health and keep you fuller for longer. 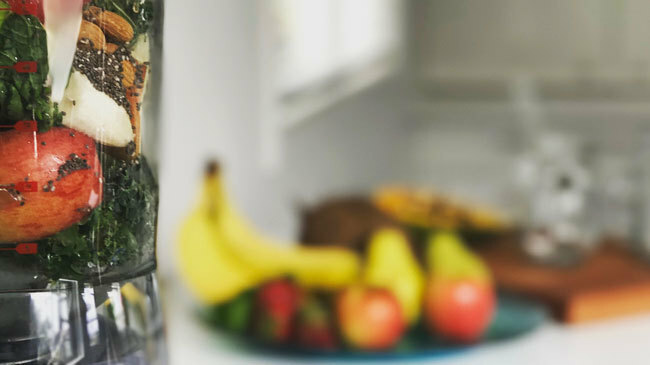 Making a diet or lifestyle change to support weight loss can be challenging, but introducing a smoothie-making ritual into your morning routine is an easy way to embrace a healthy habit without sacrificing on the flavour of your food. If you don't want to shop around for ingredients, Craft Smoothie delivers everything you need to make weight loss smoothie recipes at home using fresh seasonal produce and organic superfood blends. Keep reading to learn why smoothies are good for weight loss and check out our best smoothie recipes for weight loss below. The key to a successful weight loss journey is starting small - making small sustainable changes to your diet or lifestyle until those changes become habits. Rather than attempting to introduce a hundred and one changes at once, get comfortable with one or two new routines before taking on another. Introducing a well-balanced breakfast smoothie into your day can be an effective way to establish a healthy morning habit, which will in turn have a positive flow-on effects for the rest of your day. We make that transition easy, delivering all the ingredients you need to make healthy smoothies for weight loss at home. Once you’ve settled into your healthy breakfast routine, try introducing some regular exercise, like 25 minutes of walking each day, so you can easily achieve the 150 minutes of recommended exercise per week. Check out these free and easy changes you can make to live a healthier lifestyle. Embracing your weight loss journey with a positive mindset and enjoying the experience that comes with trying new combinations of seasonal smoothie ingredients will ultimately support you in sustaining the weight loss. Establishing positive associations with the positive changes you are making in your life will make these changes easier to sustain after you reach your ideal weight. See how Craft Smoothie makes healthy eating fun and easy, while helping you understand the unique health benefits of the ingredients you’re adding to your smoothies. Making smoothies at home is arguably the easiest way to increase the nutrient density of your meals. Opting for less processed foods and eliminating refined sugars and trans fats is a good rule to play by in making good food choices too. Some of my favourite nutrient-dense ingredients to add to smoothies for weight loss include avocados, leafy greens, bananas, berries, nuts, seeds and superfood powders like cacao and acai - see some of Craft Smoothie's healthy fruit and vegetable smoothies for weight loss below. When it comes to weight loss, burning more calories than you consume is the winning formula. Making smoothies at home gives you the flexibility to alter the calorie count of your smoothies and experiment with different ingredients to understand what your body responds best to. If you're following a calorie-controlled diet, smoothies are often recommended for breakfast as they serve as a low calorie meal option that can be tailored to your unique requirements. For example, to reduce the calories of your smoothie, you can use almond milk, coconut water or even water instead of dairy milk. Or if you would like to increase the protein content of your breakfast, you can add a protein powder to your morning smoothies. Each recipe makes two large smoothies. You can make these weight loss smoothies for NutriBullet or conventional-style blenders. Green Smoothie Recipe - Chias To Good Health! 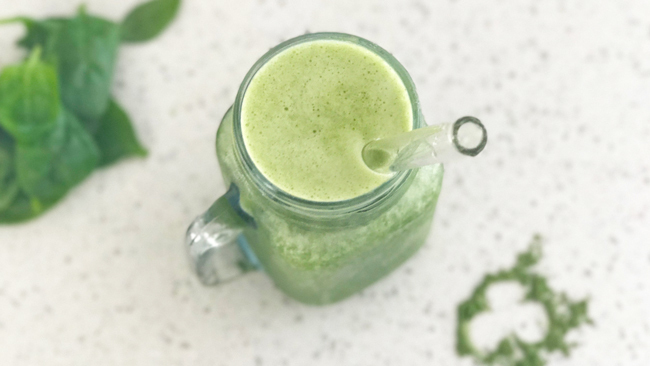 Here's an easy green weight loss smoothie that's perfect if you're just starting out, or trying a green smoothie for the first time. Low in calories and loaded with nutrients, leafy greens like kale or spinach are powerful ingredients in smoothies for weight loss because they're also high in dietary fibre which helps increase satiety (feeling full or satisfied). Apple, chia seeds and cinnamon complement the leafy greens as additional sources of antioxidants and fibre to support your digestive health. If you're worried about starting a weight loss plan and having to cut out chocolate, this smoothie has your back! Cacao is an ideal superfood for weight loss smoothies because its chocolate in its purest state - so it's refined sugar free and packed with antioxidants which are lost in the processing of chocolate. The heart-healthy monosaturated fats in the avocado make it a winning ingredient for weight loss because it increases satiety and helps your body absorb nutrients in another foods. Then the almonds add a nourishing source of plant-based protein to help balance your smoothie and keep your hunger levels under control. Berries are brilliant in smoothies for weight loss and for supporting your overall health because they're rich in antioxidants, high in fibre and can support blood sugar regulation. 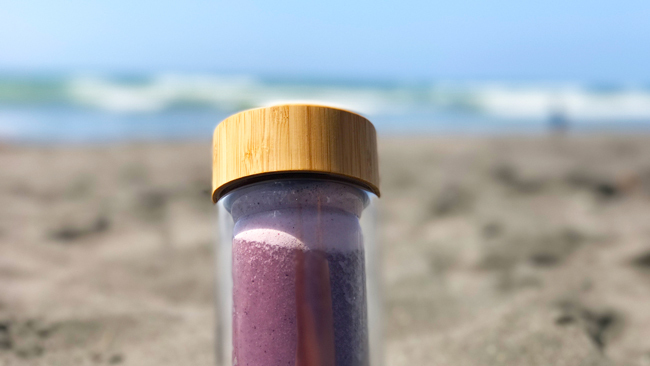 Packed with powerful antioxidants, protein and essential fatty acids, acai powder is key for crafting energising breakfast smoothies for weight loss. 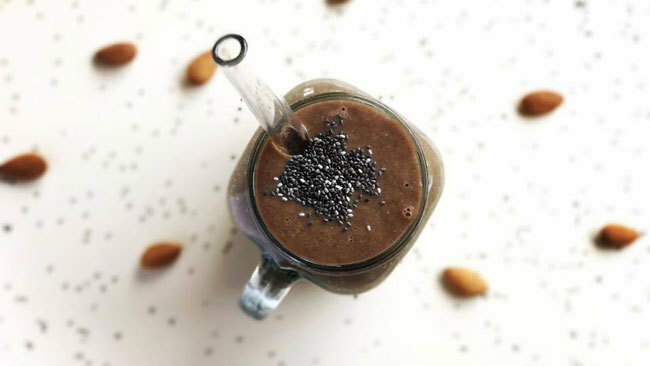 And the combo of sunflower and linseed takes this healthy smoothie recipe to the next level - rich in protein and other essential nutrients, like copper, vitamin B1, manganese, magnesium, phosphorus and selenium, these super seeds come together to support a healthy heart and immune system. Want to make healthy smoothie recipes at home without the hassle of sourcing your own ingredients and superfoods? Give a Craft Smoothie box a try and we'll send you everything you need to make quick and easy homemade smoothies to support your overall health and wellbeing. Smoothie Delivery Review: Is Craft Smoothie Right For You?